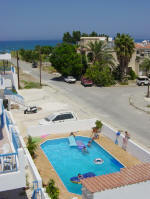 Five bedroom villa located in the Polis area with a shared swimming pool. 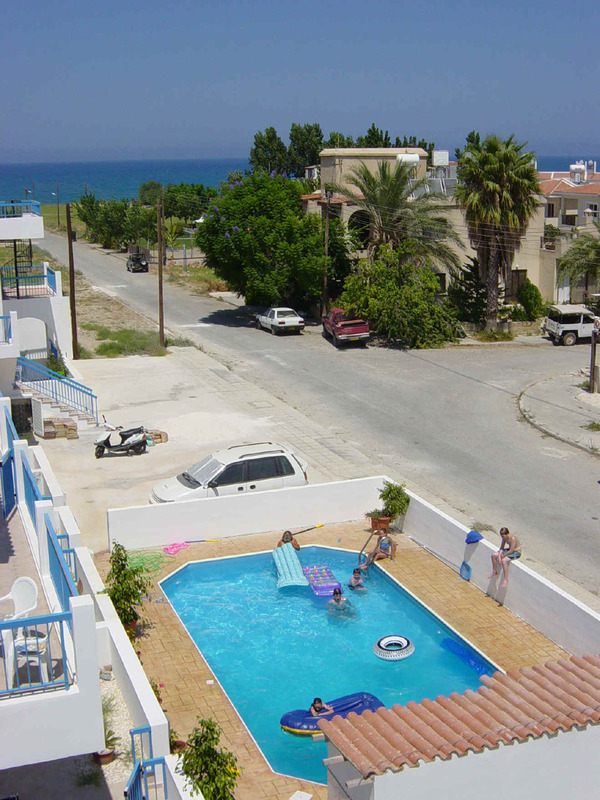 It is situated close to the coast & has sea and mountain views. SLEEPS: 10 The accommodation is arranged on three floors & has five bedrooms - three double & two twins. There are two bathrooms & two shower rooms. From the two master bedrooms there is access via a balcony to the roof terrace containing a hammock and sun loungers. The living area is open plan with steps down to a large dining area. The kitchen is fully equipped, with fridge-freezer, cooker & dishwasher. There is a separate utility room with washing machine & tumble-drier. There are front & back terraces with sunloungers & chairs and a barbeque. Extras:Air Conditioning EUR5 per day per unit.